Getting a great price for your property doesn’t come down to luck. The Colac house sales that attract the best prices are often those who are presented well by sellers, who spend time making sure their property is attractive to potential buyers. And sprucing up you home doesn’t have to mean spending a lot of money. Below is a list of the simple things you can do to impress potential buyers and achieve the price you want for your home. If you would like more advice on how to best present your property, feel free to speak to Colac Real Estate director Sandra McConachy, who will give you the benefit of her years of real experience to assist you in getting your home ready to put on the Colac real estate market. To make a time for Sandra to visit your property, or to make an appointment to visit Colac Real Estate at 2/75 Gelliband St, Colac, phone 03 5231 1989, 0409 523 540 or email us. This seems like a minor detail, but it is essential that your house number is clearly visible. First impressions do really count and are so important to the successful sale of your property. A home looking neat and tidy, on both the outside and the inside, encourages and welcomes closer inspection. Purchasers need to be able to visualise how they would live in your property. To do this there needs to be minimal distraction. Too much furniture and objects will make rooms feel smaller than they really are. Repair holes in walls and fix the doors that don’t close. Replace light globes that have blown. Paint walls and doors to freshen up only if necessary. 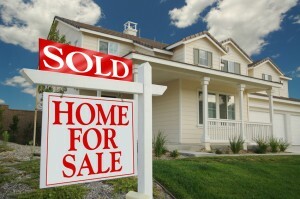 A mistake by sellers is assuming that the prospective purchaser can look past dirt and untidiness. This can be really off putting and could cost you a sale. Hire a pressure cleaner to remove any grease or stains from paths and garage floors. Remove cobwebs inside and outside. Steam clean carpet and rugs to remove unsightly stains and discard or replace any worn rugs and carpet. Dust especially overhead fan blades and light fittings. Remove or replace dirty or worn rugs. Clean and air any musty or pet smelling areas. Mow the lawn trim the edges, and weed the garden. Paint faded or peeling window trim. Open blinds and curtains to allow the most natural light in as possible. Open windows prior to air your home. Turn on lights if necessary. Display best towels in bathroom. Clean and straighten rugs, and bed linen. Empty all the rubbish bins and clear the letter box of junk mail. Make sure the home is warm in winter, and cool in summer. Make sure lawns are mowed and garden edges trimmed. It is recommended the Vendors be away from the property, making it more comfortable for the purchasers to look freely throughout . If you would like Colac Real Estate to help you ascertain the value and guide you through the process of getting your home ready for sale, fill out your details for a free obligation Market Appraisal or phone Colac Real Estate on 03 5231 1989.